Members of the Committee and Witnesses scheduled for this hearing. 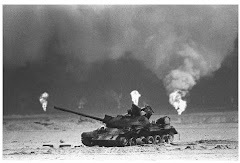 We, the National Vietnam and Gulf War Veterans Coalition offer our testimony to help you to identify the problems and solutions that existed for the Gulf War Veterans (Operation Desert Storm) who are ill and suffering immensely due to inadequate and failing response to our situation for over 25 years. We have lost thousands of our fellow veterans to illnesses directly related to our service in 1990-1991. No recognition has been given to our surviving family members who have lost a loved one. No true recognition has been given to those of us still alive and ill. This hearing was triggered by the latest National Academy of Science Institute of Medicine Report. I am sure that the inadequacy of that committee and its members will be discussed today in detail. I can say we find that we would have expected more members of the National Academy of Science to have been on the committee. We find their expertise to be lacking. We also find it unacceptable that we and you have no access to recordings or minutes of their closed hearings. We have no knowledge of who the expert speakers brought in might have been and no access to their minutes or presentation slides to evaluate fully their performance of their duties. This definitely highlights the inadequate transparency of our government. We also have no minutes, knowledge of speakers at any other coordinating board involving the VA and department of defense. There is no transparency in the office of research and development at VA, research project selection, or veterans serving on peer review at the Veterans Affairs Department. There is no transparency regarding meetings at VA headquarters concerning gulf war illnesses. When hundreds of thousands of gulf war Operation Desert Storm Veterans have been affected and ill and yes dying there is a tremendous need for transparency. There can be no trust rebuilt without transparency and participation. The problem concerning the gulf war veterans’ illnesses emerges from multiple factors. The first factor is that the Department of Defense and multiple administrations have refused to release all documents on the gulf war. 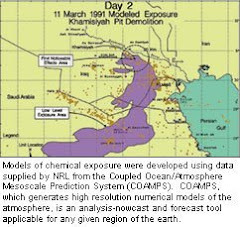 These documents should include the pre-evaluation and plans in regards to preparation for nuclear, biological, and chemical exposures. All medical research concerning the use of PB tablets, vaccines, depleted uranium, chemical and biological agents done prior to, during or after the war need to be released fully. It has been 25 years and thousands of documents are still classified. Those documents might shed a gigantic spotlight on the source and complexity of our exposures. Our exposures need to be acknowledged completely. We are seeing a repeat of the Tuskegee experiments, Radiation experiments, Gas exposure in World War I, and Agent Orange in Vietnam. Too many veterans suffer and die before the truth surfaces and the veterans receive the treatment and compensation and Honor they are owed. A lot of actions have been suggested in the past 25 years to help. I will review a few of those that have not been implemented. The VA has refused to educate all doctors within the VA to our exposures, to the WRIISC referral system, or to the published studies that have occurred in both animal and human research especially in the past years since 2005 that were funded thru DOD CDMRP GWIRP. This is a dereliction of their duty to educate and train the doctors we see in every VA facility. They should also be reaching out to share this education with civilian doctors, researchers, and medical universities. They have not in any way made this a priority thus it is omission of care and borders on medical malfeasance and could fall under malpractice. I have surveyed multiple times on social media and by direct talks with my fellow veterans the names of the doctors and the VA facilities where they practice. It is a long list but at least a starting point. I had well over 300 comments on doctors across the country’s VA facilities by name and location. This shows that the VA doctors are totally unaware of gulf war illnesses, related research, and even how to refer a patient to the WRIISC. If doctors are not educated how do you expect to get good data on our population of gulf war veterans? Overwhelmingly the doctors are dismissive and give the “well known” blank stare to the veterans. There is no literature on gulf war illnesses displayed in patient wait areas nor in exam rooms which demonstrates a lack of concern or focus for this significant concern of gulf war veterans. The doctors have no knowledge of gulf war illnesses research findings, have not heard of the VA RAC GWIR reports, and they are not educated unless we the gulf war veterans hand carry the papers and research reports to them. So doctors are not educated on gulf war illnesses then poor documentation occurs and data is then unavailable. The VA talks about their train the leaders programs and this Gulf War Illness education is glaring in its absence! They have failed gulf war veterans who are ill from their service in the gulf. I have suggested countless times to the VA, in testimony to committees on the hill, and to the VA RAC GWIR to have our researchers be videotaped or live webinars presented as a means to start this process. But nothing has been done. The WRIISC programs need to include specialist that have not been included. These specialist should routinely include the areas of immunology, infectious disease, hematology, gastroenterology, endocrinology, ophthalmology, ototoxicologist, and Dentist in addition to other specialties. WE have asked repeatedly for specialty gulf war illnesses clinics to be in each state. We need less psychologist and more attention to our physical issues. It is a disservice to the gulf war veterans to walk into a VA with doctors that have no knowledge of our exposures, research findings from CDMRP GWIRP, and a general dismissive attitude. This is still the standard despite 25 years of effort. VA ORD needs to be completely cleaned out of personnel that do not believe in the physical manifestations of multiple exposures. VA ORD and VA RAC GWIR need to be purged of psychologist or behavioral medicine specialist. This is a betrayal of the gulf war veterans who were exposed to multiple exposures. The VA must train each and every VARO raters and C and P examiners on the gulf war illness and the research findings from CDMRP GWIRP researchers and researchers at Minneapolis VA Brain Science Center and the Orange New Jersey WRIISC center. The raters and examiners must give the benefit of the doubt to the gulf war veterans. Too many ratings have been denied and bounced to the full appeals route while the gulf war veterans and their families suffer financially. Registries should be set up by VA with oversight of organizations like the American Cancer Society and others. These registries need to be able to receive medical records from the veteran, their family member, and civilian doctors. A registry of our deaths for those deployed by time period needs to be set up! WE need name of service member, branch of service, specialty duty, unit served, time in theater, and locations in theater, their diagnosis/diagnoses at death and age of death. These need to be by category Cancers by type and location and Diagnoses involving each system of the body. This data should be summarized yearly and published with consent of family survivor. A registry should be established for those with medical records re civilian or VA for diagnosed illnesses. Again age at diagnosis is critical! Other registries need to be set up in a similar way for those non-deployed that are ill. Specifics are needed more frequently and openly. Registries for children born after the war that are experiencing similar symptoms/diagnoses as the veterans need to be established immediately. Registries also are need for spouse or significant other to identify common symptoms and diagnoses. Age of occurrence is important in each of these registries! Research at VA needs a complete revamp! The ideal would be peer research review boards mirroring those set up by DOD CDMRP GWIRP. Veterans need to be included in these medical review boards. And a rule be made of NO MORE STRESS or PSYCHOLOGICAL Studies. Our dedicated researchers on the civilian side need to brief the results of studies already completed and future directions to these research panels at the VA. There needs to be a way that any biologic samples re Blood or sputum i.e. salvia that needs to be collected by VA or CDMRP GWIRP researchers can be collected at least at one VA facility per state. These samples could then be shipped overnight to the researcher in charge. A great deal of the acceptance of a veteran can be done by a coordinator by phone which is being done. Questionnaires can be on computer or sent hard copy by mail to be completed. Other ways to facilitate the gulf war veterans participation in research to be include should be pursued. It is not acceptable to expect a struggling ill gulf war veteran to fund transportation and lodging for research. By listening and taking action we can get greater numbers of ill gulf war veterans to participate. VA RAC GWIR needs to have committed researchers and veterans with dedication to the issue on the committee. WE do not need psychologist or behavior medicine experts on the VA RAC GWIR. We need those looking to the best leading edge neurological, endocrinology, hematology, immunology, and geneologist on board. We need the physical vs. the psychological believers. Please find real biomarkers, diagnostics, gene markers and look at targeted treatment of the physical damage. Too many times during 25 years we have seen the back slide to this being psychological and that must stop now. Please yes coping abilities are important but spending more money to research yoga, acupuncture, cognitive training is palliative and can be done already in clinical settings. It is as I said in April 1994 as the Health Consequences of the Gulf War, THE PROOF IS IN OUR BODIES. If you would quit delaying and denying and start educating the doctors, focus the research, declassify and release all the records concerning the gulf war, set up better data collection on our gulf war veterans, use the high tech diagnosis tools, find the biomarkers and target health care treatment, and give the benefit of the doubt on claims for compensation for gulf war ill veterans, revamp the VARD, this country would move forward in true honoring and valuing the gulf war veterans of Operation Desert Storm 1990-91 before the majority of us die too young. Sadly our dedicated civilian researchers are doing the research and education needed and not the vast majority of the VA researchers or providers. The ill gulf war veterans who have already died early from exposures are definitely forgotten and betrayed by the government they served without question. WE were not to be those that chased the ghost of Vietnam away! We should be honored and not left to suffer and die or be treated with indifference. Our fate rests with the congress that voted and sent us to war and each congress since. The blame and guilt lies with each President (Commander in Chief), the past and current military chain of command, and VA Secretaries, Deputy Secretaries, Assistant secretaries, medical chiefs of staff, VA Facility Administrators and each and every doctor within the VA system that have committed derogations of their sworn duty and oaths. It is a debt owed morally and ethically to not only the Operation Desert Storm Veteran but to other veterans that served and are ill from exposures now and into the future. It is a debt owed to the veterans and their family members. This does not end now!